PLEASE NOTE: There has been a change in venue for this event. 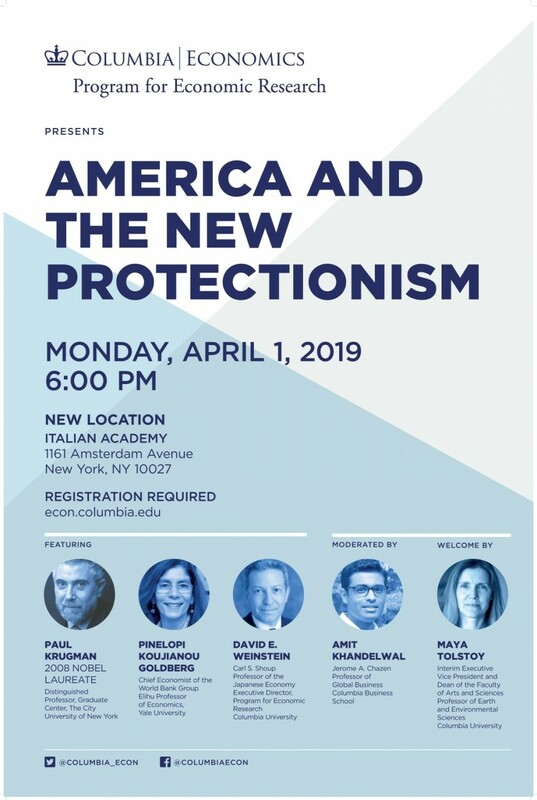 America and the New Protectionism will now take place at the Italian Academy (1161 Amsterdamn Avenue, New York, NY 10027). For more information, visit Columbia | Economics. This event is free, but requires advance registration. Please RSVP here.